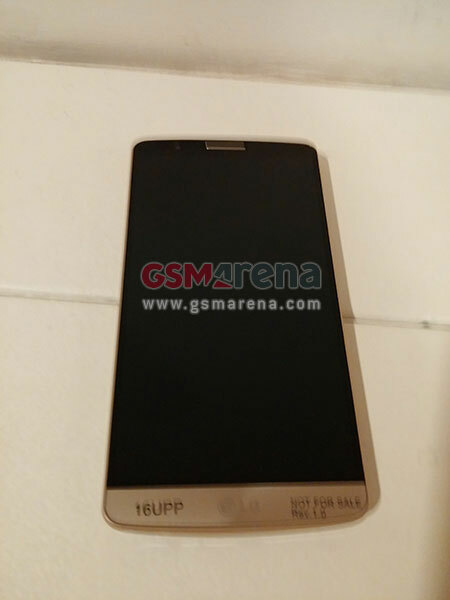 Two more photos have made their way online this morning, which show off the upcoming G3 from LG. 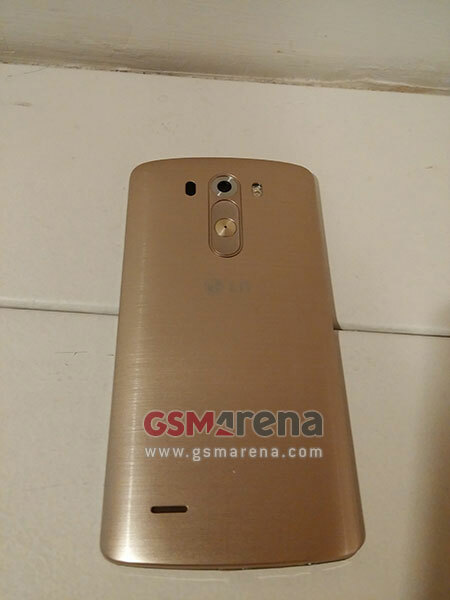 We have seen the device photographed from the backside a couple of times now, in both grey and white, but this is our first good look at the G3 in Gold – both front and back. Looking beyond the silly paint job, we get to see what the front of the G3 will look like, after learning last night from LG that it will be in fact a QHD display, sporting a resolution of 2560×1440 with practically no bezel to be found. LG’s logo can be seen on the bottom side, as well as a thin speaker grille up on the top. The photo’s source claims that what was once thought to be an IR blaster pictured to the left of the camera, is actually a “laser beam that is intended to help the camera produce better night shots.” Whether it utilizes infrared technology, and will also double as a remote for your TV, is currently unknown. We do wish there was a type of reference in these photos to give us an idea at how large the phone is, but this is better than nothing. After seeing the frontside pictured, with no bezel, and the overall look of the backside being quite pleasing, May 27 can’t come any sooner. What do you think? Hate it? Love it?